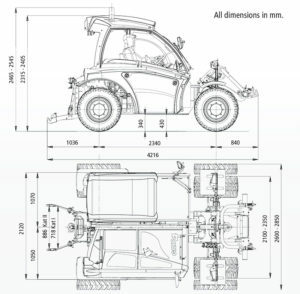 Its hydraulic all-wheel steering with three different steering options allows very good maneuverability. It draws its power from a 95 bhp, 4-cylinder turbo engine. 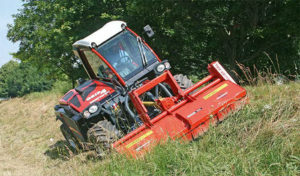 The optimum weight distribution of the machine also makes it very capable of climbing all slopes and tackling all types of terrain.